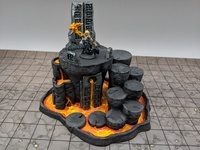 Warhammer Underworlds Smoking Pyramids Hazard by MeneerMark is licensed under the Creative Commons - Attribution license. I designed this to be used as an Arcane Hazard in Warhammer Underworlds. Have fun and please let me know what you think of it. 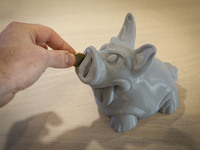 Say thanks by giving MeneerMark a tip and help them continue to share amazing Things with the Thingiverse community. We're sure MeneerMark would love a Tip, but unfortunately they have not setup their accounts to receive them yet.